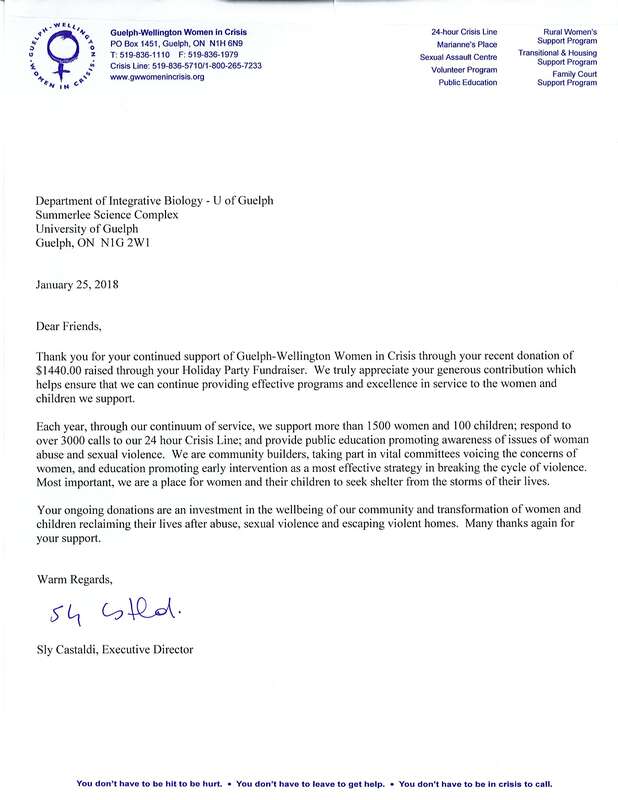 This past holiday season saw an outpouring of support from the department for our 2nd annual silent and live auction. Dozens of items were donated by faculty, staff, and students ranging from beautiful handmade jewelry to wine tasting excursions; from cottage weekends in Algonquin to salsa lessons; from stunning artwork to book bundles. Not only were the donations extremely generous, but the bids displayed the true spirit of the season and the department. 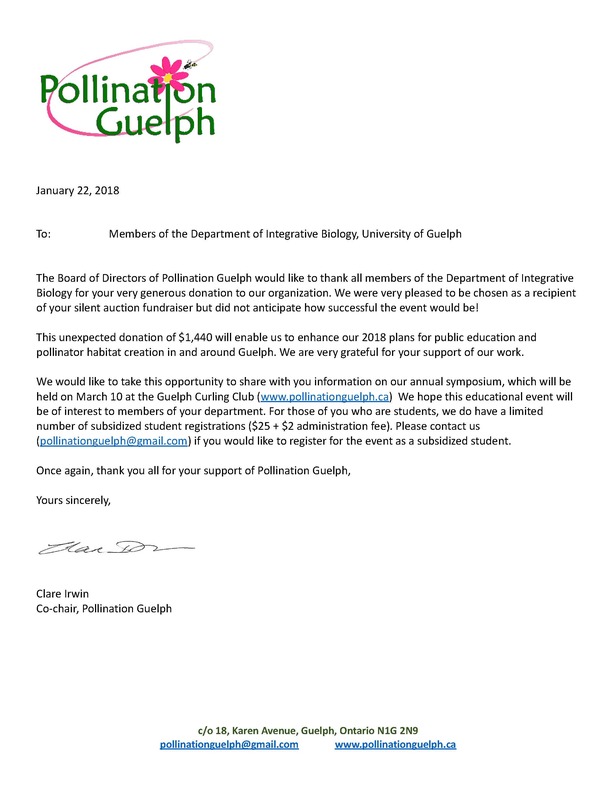 Due to the generosity of all those involved, we were able to raise $2880 for two local charities: Guelph-Wellington Women in Crisis  and Pollination Guelph . Thank you to all those who participated!